In recent years, considerable scholarly attention has been drawn to interdisciplinary research between the fields of Translation Studies and History of Science, which has shed light on, for instance, the workings of scientific communities, the dissemination of knowledge across languages and cultures, and the transformation in the process of that knowledge and of the scientific communities involved. 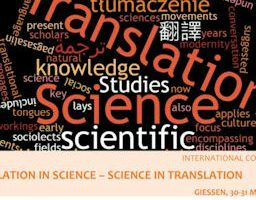 Translators are brought to the fore, and if they were once treated as anecdotal actors in scientific exchanges, they are now understood as key agents. The conference Translation in Science precisely engages in all these questions suggested by the conversation between Translation Studies and History of Science, and understands language as a complex phenomenon that includes dialects, sociolects and disciplinary tongues, and science as encompassing the natural and the social sciences. The focus is from early modernity to the present, and the conference’s translational perspective also applies to movements across disciplines, and to communication between scholars and lays.